If you’re after that perfect combination of incredible scenery, adrenalin-pumping adventure tourism and a small yet lively town to kick back after a big day of exploring, then Vang Vieng is just the place you’re searching for! Vang Vieng is located on the highway between Luang Prabang and Vientiane - roughly 5 hours south of Luang Prabang and 3 hours north of Vientiane. Surrounded by towering limestone karst, the town itself is rustic and sleepy by day before exploding into a lively and energetic nightlife. 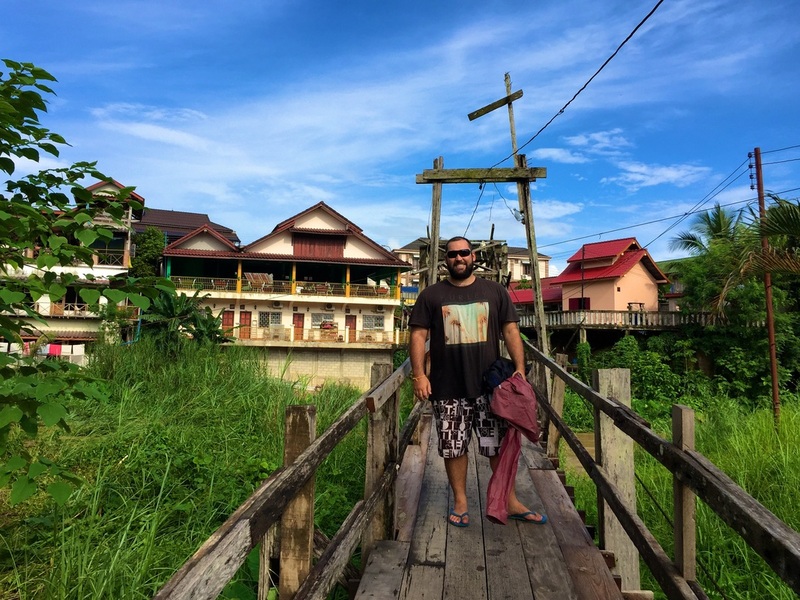 While many people say that Vang Vieng is not what it used to be, this may just be for the better, because we loved everything about the chilled, friendly atmosphere of the Vang Vieng of today! 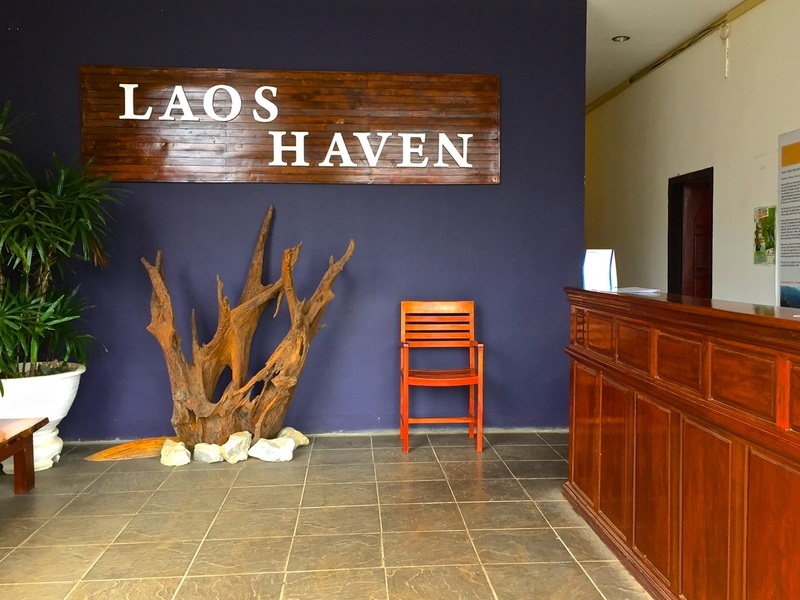 During our time in Vang Vieng, we chose to stay at Laos Haven Hotel and Spa. Laos Haven is located 5 minutes walk from the centre of town and a perfect distance away from the pulsating music of the bars and clubs at night. Laos Haven Hotel and Spa is run by the welcoming Michael and his lovely wife, who truly understand the meaning of hospitality. Michael always greeted us with a big smile and addressed us by name every time we saw him. He was always around to offer us advice on the area, a map of town or simply sit down for a chat. Laos Haven has 25 rooms and offers single, double and family rooms in either standard, superior or deluxe. We stayed in a standard double room with air-conditioning, private bathroom and cable TV. The rooms are spotlessly clean, the bed large and comfortable and there is even an in room safe to offer some peace of mind for your passport and other valuables. Free Wi-Fi is available and works well throughout the hotel. The hotel has four charming communal sitting areas and balconies scattered around the upper floors that offer a great place to sit and read or just enjoy the magnificent view out to the nearby mountains. Also on the premises is a fantastic restaurant, “7 Haven” which is open for breakfast, lunch and dinner during the high season. With a choice of Thai, Laos or Asian cuisines, there is something to suit everyone at this great value restaurant. Laos Haven is currently undergoing a large expansion, which in the coming months will see five new “luxury” rooms opening next door along with an incredible swimming pool, which will be available to all guests. 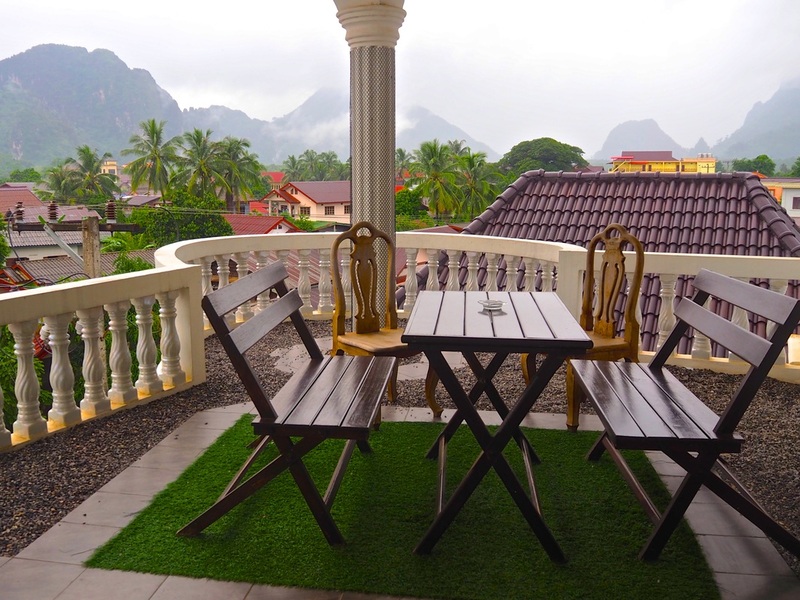 Laos Haven is the ideal accommodation for families, couples or groups of friends who want to enjoy all that Vang Vieng and the surrounding region has to offer while distancing themselves from the hustle and bustle of the town centre.